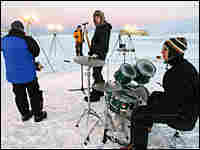 Live in the Antarctic, It's Nunatak A five-person band based at a research station in Antarctica will represent the continent in Saturday's Live Earth concerts. 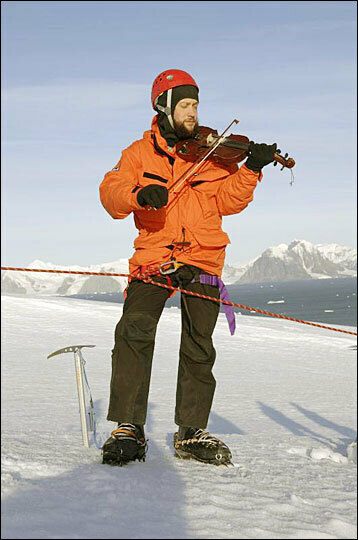 Nunatak fiddler and communications engineer Tristan Thorne talks to Melissa Block about the big gig. Nunatak rehearses for its Live Earth performance scheduled for July 7. 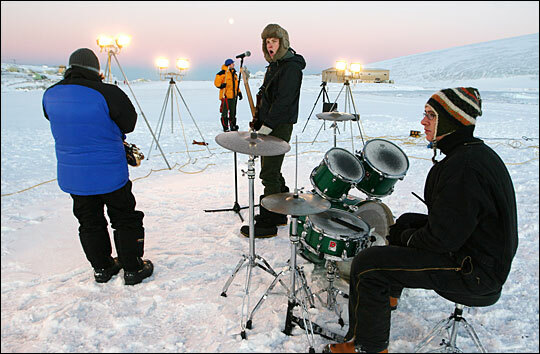 The band consists of researchers with the British Antarctic Survey and is based at the Rothera Research Station in Antarctica. 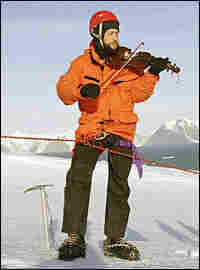 Tristan Thorne is Nunatak's fiddler. The 28-year-old from the Orkney island of Sanday also manages satellite technology and IT at Rothera.